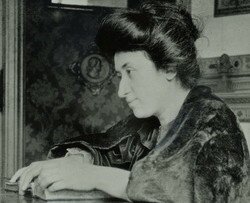 Rosie Woods reviews The Letters of Rosa Luxemburg, published in March 2011 by Verso Books. Many women on the left have their own heroines, women from the past who have inspired them. Sylvia Pankhurst, Clara Zetkin, Minnie Lansbury... Mine has always been Rosa Luxemburg. The Letters of Rosa Luxemburg showed me her personal side. I had resolved to avoid reading the Guardian on Tuesday 8 March. I knew they would be publishing a “100 most inspiring women list” on this, the 100th anniversary of International Women’s Day. And I had no desire to revisit the taste of my breakfast on my way into work. The list had been trailed in the paper some weeks before and promised to include Margaret Thatcher, Oprah Winfrey and Hillary Clinton. Hence the anticipation of nausea. In the event, the list was not as bad as I expected, just boring and predictable. During the nineteenth century, the emerging workers’ movement began to develop its policy on the “woman question”. Some of the early, “utopian” socialists argued strongly for women’s liberation. Ferdinand Lassalle led the “proletarian anti-feminists”, opposing votes for women and urging male workers to strike against women’s entry into industrial labour. Marx and Engels opposed Lassalle, arguing that women’s work was a step forward, a precondition for liberation. During the nineteenth century, the emerging workers’ movement began to develop its policy on the “woman question”. The early, “utopian” socialists argued strongly for women’s liberation. Ferdinand Lassalle led the “proletarian anti-feminists”, opposing votes for women and urging male workers to strike against women’s entry into industrial labour. Marx and Engels opposed Lassalle, arguing that women’s work was a step forward, and a precondition for liberation. During the nineteenth century, the emerging workers’ movement began to develop its policy on the ‘woman question’. The early, ‘utopian’ socialists argued strongly for women’s liberation. Ferdinand Lassalle led the ‘proletarian anti-feminists’, opposing votes for women and urging male workers to strike against women’s entry into industrial labour. Marx and Engels opposed Lassalle, arguing that women’s work was a step forward, and a precondition for liberation. German socialist women placed strong emphasis on education. They set up education clubs for women and girls (Frauen- and Madchen-Bildungsverein), which held meetings, hosted lectures, published articles and pamphlets, and gathered information on women’s working conditions. Each club had between 50 and 250 members, who paid a small monthly fee. After Bismarck’s Anti-Socialist Law lapsed in 1890, laws remained which restricted women’s political activity. The 1851 Prussian Association Law banned women from membership of political organisations, and from organising politically.